Restless Leg Syndrome is a neurological sleeping disorder in which the affected individual tends to have an uncomfortable and irresistible urge to move. This urge is caused due to a burning or creeping sensation, mostly in the legs. The symptoms usually appear when the affected individual tries to rest or lies down. As the name suggests, Restless Leg Syndrome mostly affects the legs, but it may also affect other parts like arms and torso as well. The disease may also be accompanied by another condition known as Periodic Limb Movement Disorder (PLMD) that causes involuntary jerking movements during sleep. The condition is difficult to diagnose and treat. Still, apart from the conventional treatment, a number of natural home remedies for Restless Leg Syndrome home treatment have also been found beneficial in reducing and healing this condition to a great extent. The exact cause leading to Restless Leg Syndrome is still not known. It is believed to be caused due to abnormalities in the brain chemicals or parts of the central nervous system that regulate muscle movements and automatic movements respectively. Peripheral Neuropathy, Anemia, Fibromyalgia, Hypothyroidism, Varicose Veins, Chronic Obstructive Pulmonary Disease, Parkinson disease, Lyme disease, Sjogren syndrome, Rheumatoid Arthritis, kidney diseases, nutritional deficiencies and hereditary factors tend to cause the symptoms of this disease. Factors like cigarette smoking, alcoholism, tobacco abuse, stress, lethargy and other similar factors may also aggravate the problem. In certain cases, pregnant women may also experience the symptoms of this disease during the last three months of pregnancy. However, the symptoms usually disappear with a few weeks after delivery. The sensations causing the urge to move or shake the legs are often difficult to describe. They may range from mild discomfort, tingling and irritation to severe burning, itching or painful sensations occurring deep inside the legs. Certain individuals also complain of creepy and crawly sensations, similar to the crawling of an insect or bug. Middle aged or older individuals have been found to be more susceptible to this disease as compared to younger individuals. Because of the persistent, strong urge to move the legs, Restless Leg Syndrome results in restlessness, floor pacing, tossing and turning in bed and sleeping problems like difficulty falling or staying asleep. Consequently, it causes tiredness and decreased alertness during the daytime. As the condition is usually triggered at resting positions, it causes problems during air travels and long car trips as well. The symptoms tend to start during inactivity and improve with activity. • Taking a warm bath before bedtime is one of the simplest natural home remedies for Restless Leg Syndrome. Cold baths are also beneficial in some cases. • Natural juices such as that of spinach, asparagus or kale serve as excellent Restless Leg Syndrome home remedies. 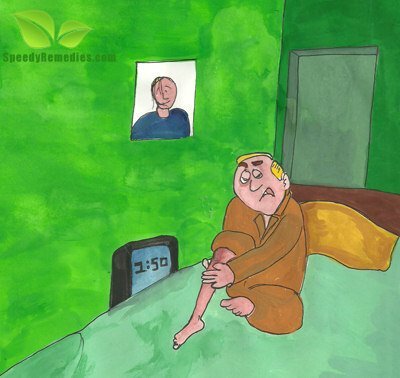 This natural remdy helps to cure Restless Leg Syndrome caused by nutritional deficiencies. • Valerian, horse chestnut, passion flower and astragalus are considered as efficient herbal remedies for Restless Leg Syndrome. These therapeutic herbs have soothing properties that help in relieving Restless Leg Syndrome related symptoms. For instance, horse chestnut works as a good Restless Leg Syndrome home remedy by helping in stabilizing the vascular membranes and hence easing the discomfort. • Massaging the legs and stretching the gluteal, calves and hamstring muscles before going to bed is one of the most effective natural home remedies for Restless Leg Syndrome. • Yoga, acupuncture and meditation can also help in dealing with Restless Leg Syndrome and its troublesome symptoms. • Although there is no scientific evidence, some people claim that placing a bar of plain soap in the bed (under the sheet) can help in getting rid of this problem. Apart from these Restless Leg Syndrome natural remedies, certain dietary measures can also help in reducing Restless Leg Syndrome naturally. For this, try to include more foods rich in iron, calcium, magnesium and other essential vitamins and minerals. Bananas, prunes, oranges and a variety of other fruit, vegetables natural juices are highly beneficial in this regard. Dietary changes should also focus on the restriction of alcoholic and caffeinated beverages. Plus, avoid taking anti depressant, anti psychotic, anti nausea and other such medicines as they aggravate the symptoms. Moreover, moderate amount of exercise like walking helps in the natural treatment of Restless Leg Syndrome. However, the condition can worsen with excessive exercise of the legs.